Our service range includes a wide range of sound proof dg sets, sound proof generator rental services, dg set and generator vans rental service. We provide Sound Proof DG Sets. The soundproof D.G sets are covered with acoustic insulation and thus ensure a noise-free environment. Testimonials from our clients speak themselves about our relentless service towards any query or difficulty of our customers. We also offer guidance based on clients requirement. The team of Sachin Electricals is well versed with each and every corner of DG Sets. Call anytime for the further information. 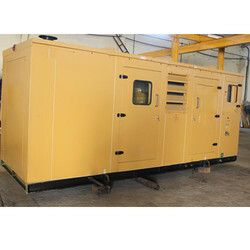 We are a recognized firm, involved in offering a vast range of Sound Proof Generator Rental Services. All these services are offered employing advanced tools and machines to confirm global standards. Moreover, our professionals ensure that only the best quality solution is provided to our esteemed customers. Additionally, customers can easily avail these services from us effective prices. 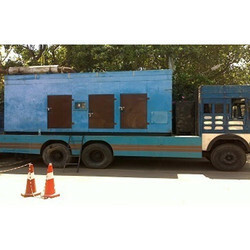 We are the container is the leader in generator rental container sized and canopy diesel generators to customers across India. In addition to our high-quality rental diesel generator sets (DG sets), we offer tailored technical solutions to meet customers’ requirements and excellent service support through our team of highly skilled engineers. The reliability of our generators helps to prevent losses associated with issues such as power outages, maintenance activities, and peak shaving situations, project execution delays and variations in seasonal demand. Our Engineers operate to the highest quality, health, safety and environmental standards and can handle any power crisis. This ensures that customers have an uninterrupted power supply from our DG Set on hire. Safety is paramount for us, so we ensure the adequate protection by providing onboard Moulded Case Circuit Breaker, suitable Switch Disconnectors Fuse Units and adjustable residual current devices for sensitive earth-fault protection with all DG sets we rent out to our customers. Environmental considerations are addressed by integral design features such as class-leading sound attenuation, fully bunded, integrated fuel tanks and optimized engine emissions and preventing leakage from the DG Set. These features exceed the standards in all current or pending legislation. 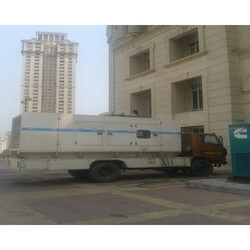 We have our own Generator Vans Rental Service for the client’s services. 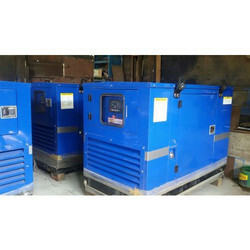 We have DG Sets from 15KVA to 2000KVA. To provide Quality and efficient service is the only aim of the Company. All DG sets are thoroughly tested and well maintained. Quick and efficient installation is our silent features. We offer DG Sets on rental services so as to provide utmost satisfaction to our clients. We provide 24*7 Emergency services. These services are provided to Automobiles Industry, Pharmaceuticals Industry, Shopping Malls, Engineering Industry, IT Industry and Other Industries etc. We are one of the oldest DG Set hiring provider in Mumbai.